An observational clinical imaging study now provides in vivo evidence that cortical lesions (CLs) are associated with cognitive and physical disability in multiple sclerosis (MS), independent of white matter lesion volume. It also showed that leukocortical and subpial lesion subtypes have differing clinical relevance. 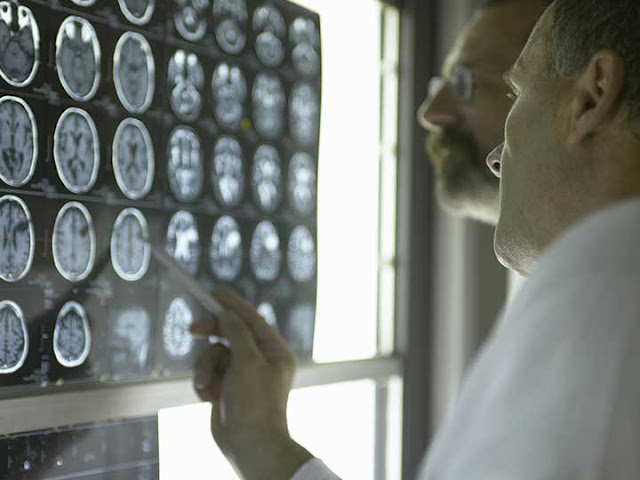 In addition, the study points to high-field MRI as a highly effective tool for quantifying cortical pathology in MS, something which could eventually lead to more effective treatments, Daniel M. Harrison, MD, department of neurology, University of Maryland School of Medicine in Baltimore, and colleagues reported online in JAMA Neurology. "Our finding that CL volume predicts cognitive impairment independent of WM lesion volume or atrophy supports the notion that assessments of inflammatory WM pathology alone provide an insufficient appraisal of the pathology responsible for disability in MS," said Harrison. "Furthermore, our findings of CL volume as an independent predictor of cognitive impairment highlights the need to determine whether current disease-modifying drugs reduce CL formation." If these drugs do not modify CL formation, he added, "...this research may spur the development of novel therapeutics capable of reducing CLs and their associated disability." Since the low sensitivity of 1.5-T and 3-T MRI techniques for identification of CLs has been established, high-field MRI should be integrated into future MS research and clinical trials, emphasized Harrison. "Although the availability of 7-T MRI at present limits this approach," he acknowledged, "our data show it is feasible to perform clinical-quality, whole-brain imaging in reasonable scan time and to quantify clinically relevant pathology." To evaluate the clinical relevance of measures of CL burden derived from high-field MRI in MS, 36 patients with MS (30 relapsing-remitting, six secondary or primary progressive) were recruited from the Johns Hopkins Multiple Sclerosis Center. Fifteen healthy participants served as controls. Data were collected from March 2010 to November 2012; the analysis was completed last year. High-field MRI (7 T) of the brain was performed with 0.5-mm isotropic resolution magnetization-prepared rapid acquisition gradient echo (MPRAGE) and whole-brain, three-dimensional, 1.0-mm isotropic resolution magnetization-prepared, fluid attenuated inversion recovery (MPFLAIR), said the investigators. Cortical lesions, seen as hypointensities on MPRAGE, were manually segmented and classified as leukocortical, intracortical or subpial (SP). Images were segmented using the Lesion-TOADS (Topology-Preserving Anatomical Segmentation) algorithm. Physical disability was measured using the Expanded Disability Status Scale (EDSS) while cognitive disability was measured with the Minimal Assessment of Cognitive Function in MS battery. Of the 36 participants, cortical lesions were noted in 35 (97%), with a median of 16 lesions per participant (range 0-99). One patient had 99 CLs. Leukocortical lesion volume correlated with WM lesion volume (ρ=0.50; P=.003) but not with cortical volume, the investigators reported. Subpial lesion volume inversely correlated with cortical volume (ρ=−0.36; P=.04) but not with WM lesion volume. Total CL count and volume were significantly increased in participants with EDSS scores of 5.0 or more versus those with scores less than 5.0 (count: 29 [11-99] vs 13 [0-51]; volume: 2.81×10-4 [1.30×10-4 to 7.90×10-4] versus 1.50×10-4 [0 to 1.01×10-4]) and in cognitively impaired versus unimpaired individuals (count: 21 [0-99] versus 13 [1-54]; volume: 3.51×10-4 [0 to 1.01×10-4] versus 1.19× 10-4 [0 to 7.17×10-4]). Cortical lesion volume correlated with EDSS scores more robustly than did WM lesion volume (ρ=0.59 versus 0.36), said Harrison. In an accompanying editorial, "Cortical Lesions in Multiple Sclerosis: Clinical Relevance for Hidden Disease Burden," Robert T. Nasmith, MD, department of neurology, Washington University, St. Louis, pointed out that in the last decade, advances have been made in the management of long-term disability and treatment in MS. But clinicians are still grappling with a lack of certainty about what's in store for each patient. "[A]ny physician who treats MS and reviews MRI scans understands that the clinic-radiological paradox is at the individual patient level, which has left physicians managing the patient's risk for a worse outcome instead of an absolute truth of future disability," said Nasmith. "White matter lesions are important in MS; however, there is more that we cannot observe in clinical practice." Based on the study results, said Nasmith, phase II/III clinical trials should assess CLs to determine the effect of therapies on different clinical subtypes.